Designed in collaboration with SH Architects of Las Vegas, this 10,000 sq.ft. desert interpretive center is on track to achieve a LEED-Platinum certification as well as being engineered to produce as much energy as it consumes. The high-performance facility hosts 4,500 sq.ft. of exhibitry designed and fabricated by Split Rock Studios of St. Paul MN. With terrain ranging in elevation between 2,000 and 10,000 ft. above sea level, the 1.6 million acre refuge is the largest in the continental US, and is home to seven distinct "life zones" within its vast borders. 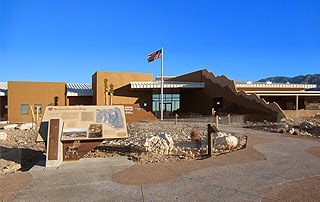 Click here to learn more about the Desert National Wildlife Refuge.